Darlington have signed defender Graeme Lee on a one-year deal following his release by Notts County at the end of last season. The 33-year-old has been a long-term target for boss Mark Cooper, and joins striker James Walshaw and Kris Taylor as new arrivals at the Arena. "He was our number one choice so we're delighted," said Cooper. "He's excited at the prospect of joining up with us and in Graeme we've signed someone with vast experience." He added: "Graeme was being chased by a number of clubs and had several offers, some of them better than we were offering, but he liked the model we put to him. "He'll also lead by example in his defending and in organising the team, which is something that was sometimes lacking last season. "I think he's won five promotions during his career, so he knows what it takes for us to get back into the Football League this season." 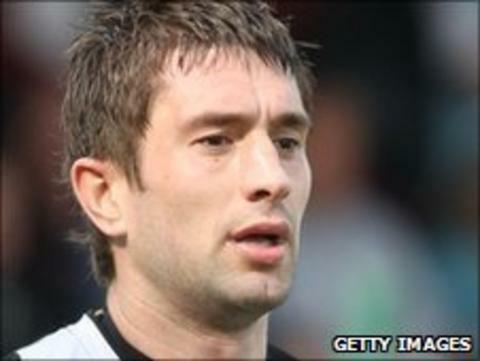 Lee, who was born in Middlesbrough, began his career at Hartlepool United and also lists Sheffield Wednesday, Doncaster and Bradford among his former clubs. He has made 510 appearances in total for six clubs, and has scored 44 goals.